Global particle size analysis market is segmented into wet particle size analysis, dry particle size analysis, and spray particle size analysis. On the basis of industry, the particle size analyzers market is classified into healthcare; chemicals and petroleum; mining, minerals, and cement; food and beverage; and others. The others segment consists of toner, ink, paints, coatings, environmental analysis, and cosmetics industries. Based on the type of end users in the healthcare industry, the global particle size analyzers market is classified into pharmaceutical and biotechnology companies, public and private research institutions, and academic institutions. Complete report on Particle Size Analysis Market spread across 164 pages, Profiling 12 Companies and supported with 66 Tables and 64 Figures is now available at http://www.rnrmarketresearch.com/particle-size-analysis-market-by-technology-laser-diffraction-dynamic-light-scattering-imaging-coulter-principle-nanoparticle-tracking-analysis-industry-healthcare-chemical-petroleum-mining-market-report.html . Emerging markets including India and China have become attractive destinations for companies engaged in the development and marketing of particle size analysis products. Rising government efforts to increase the quality of products in developing economies and rapidly growing pharmaceutical R&D activities are the key factors propelling the demand for particle size analyzers in the Asia-Pacific region. Furthermore, the increase in mergers & acquisitions and the number of conferences and events are stimulating the demand for particle size analysis, globally. However, a number of factors including high cost of particle size analyzers, heavy import duties on particle size analyzers in developing countries, and lack of awareness are some of the key restraints hampering the growth of the market. A number of factors such as increasing nanotechnology research, presence of stringent regulatory guidelines to ensure compliance with GMP guidelines are driving the growth of the global particle size analysis market. Market consolidation through mergers and acquisitions and the focus on raising quality standards of product safety in developing countries offer high growth opportunities for market players. Click now for more information on this research of “Particle Size Analysis Market by Technology (Laser Diffraction, DLS, Imaging (Dynamic, Static), Coulter Principle, NTA), Industry (Healthcare, Chemicals & Petroleum, Food & Beverage), Region (North America, Europe, Asia-Pacific, RoW) - Global Forecast to 2021” report @ http://www.rnrmarketresearch.com/contacts/inquire-before-buying?rname=156336 . Factors such as growing number of solid organ, soft tissue, and stem cell transplantations; technological advancements; and increased funding, research grants, and public-private investments are the key market drivers for the transplant diagnostics industry. However, high device costs associated with NGS and PCR-based devices and limited medical reimbursements for organ donation and transplantation procedure restrain the growth of the market to a certain extent. On related note another research titled with U.S. IVD market is projected to reach USD 25.99 billion by 2020 at a CAGR of 4.7% from 2015 to 2020. 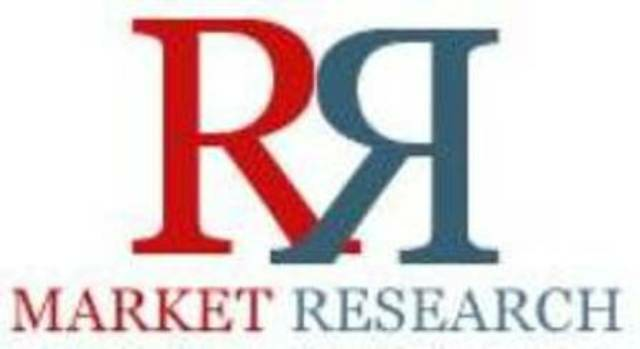 The rising incidence of chronic and infectious diseases, rapidly aging population, growing preference for point-of-care testing and personalized medicine, implementation of the Affordable Care Act (ACA), increasing demand for automated instruments, and automation in laboratories are key factors driving the IVD market is available at http://www.rnrmarketresearch.com/us-in-vitro-diagnostics-ivd-market-by-technology-immunoassay-clinical-chemistry-molecular-diagnostics-microbiology-application-infectious-diseases-diabetes-cancer-cardiology-end-user-hospitals-lab-st-to-2020-market-report.html . Explore more reports on Diagnostics at http://www.rnrmarketresearch.com/reports/life-sciences/diagnostics .